The Free University of Sheffield is pleased to announce its second soup seminar at Union St! We’ll be having our second ever soup seminar on Thursday, July 9th at 6.30pm. In the last seminar we agreed that we’d like to discuss stories of successful activism from elsewhere, and discuss why they were successful. It would be great if some people could send in some newspaper-length articles that they think would give us some food for thought about how to organise successful movements. Just email them in to freeunisheff[at]gmail.com and we’ll send them back out to the rest of the group. 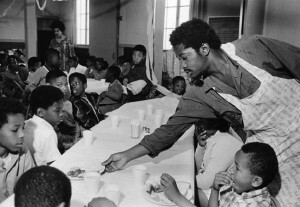 In the soup seminars we come together to cook and eat food, and discuss how we can act to change society’s problems. We are creating a community of thinkers and activists to come together and work out constructive solutions to the problems we face today. (All food is vegan). 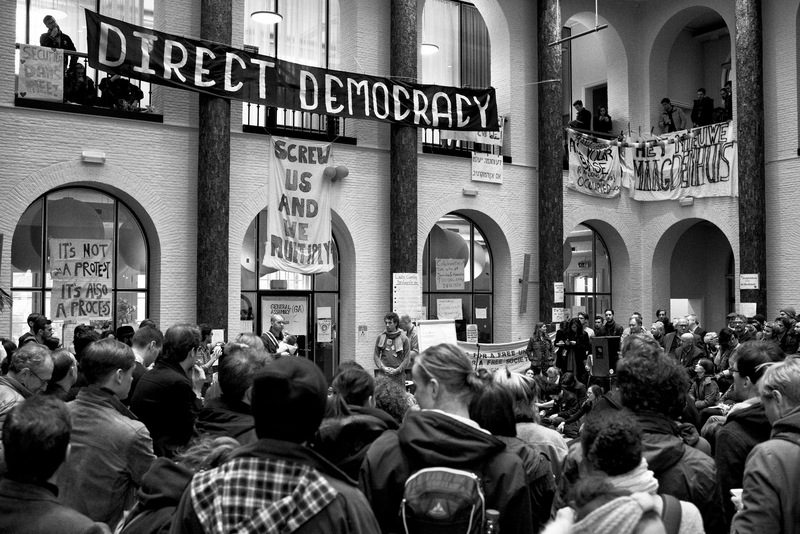 We will be discussing short film called Street Politics 101 about the Québec student movement, and two articles by George Blaustein about the recent “New University of Amsterdam” movement: ‘Letter from Amsterdam’ and ‘On Horseshit’. The discussion won’t be just about these, however – they’re just there to give us ideas and inspiration. If you have any other suggestions, please email us at freeunisheff[at]gmail.com. If you want to get involved in the organising of the soup seminars, including sorting out ingredients, cooking, designing leaflets, and publicity stuff – then just email us or message the Facebook page! To find Union St follow this link. To those that came to the soup seminar on Thursday – thank you for coming! I really hope you enjoyed it and plan to come again. To those that couldn’t make it – don’t worry! We’ll keep you in the loop about what’s happening each seminar. We started by chatting about why we came to the soup seminar, and what we hoped to get out of it, as well as discussing the issues we’re interested in tackling. There was loads of overlap, but also lots of differences in our interests, which is great. Here’s a few of them: class systems; welcoming refugees; forms of protest and direct action that go beyond marches; inequality; communes; setting up projects similar to the soup seminars in other communities; alternative ways of learning; ownership (of knowledge, of institutions, etc. ); and the idea that institutions are places of struggle, where we can make change. We then discussed the problems that we saw in the modern university, in particular the question of how we challenge those in power and how we can actually change our universities (or if we even do want to change them). Discussion soon turned to the question of students, and the question of why students don’t seem to be doing more. We then broadened it out and discussed how we could empower people to become activists or community organisers themselves. This seemed to be a really important point of discussion, and lots of great points were raised: the idea that we need spaces where people can meet together regularly and safely, preferably spaces which people feel ownership over; making political connections with people by sharing food, such as the soup seminars or the Real Junk Food Project; hosting a sort of ‘radical societies fair’ for activists to meet others and form connections; encouraging housing co-operatives to be started; rent control activism; linking up students to activists in the public service sector and the NHS. Basically, we discussed a lot. The fundamental point which people seemed to agree on was that we don’t need to be telling people what to do or what to think. Instead, we need to facilitate conversations and spaces where people can come together and come up with their own solutions – and as organisers we should be making this happen. Stuff like teaching people how to occupy a building, or create a contact list, or write a press release, or pointing people in the direction of political theory which might help develop their ideas, and so on. We’ll be having the second soup seminar on Thursday, July 2nd at 6pm [please note that this has now changed to Thursday, July 9th at 6.30pm]. We agreed that we’d like to discuss stories of successful activism from elsewhere, and discuss why they were successful. It would be great if some people could send in some newspaper-length articles that they think would give us some food for thought about how to organise successful movements. Just send them into this email, and I’ll email them back out to everyone. I’ve got some of my own suggestions here, and for people who want to read something longer and more theoretical, I’d recommend chapter 17, ‘The Pedagogy of Excess’, written by Mike Neary and Andy Hagyard in the PDF which I’ve attached [see here]. They discuss the student protests of May, 1968 in Paris. Don’t feel pressured to read this though – it involves a lot of heavy-going theory about the relationship between teaching and research in universities, which isn’t totally relevant to what we’ll be discussing. Second, I’d recommend these two articles by George Blaustein about the recent “New University of Amsterdam” movement: ‘Letter from Amsterdam’ and ‘On Horseshit’. They don’t give a particularly in-depth analysis of what happened in Amsterdam, but they’re a pretty enjoyable read and give a good overview of what happened. 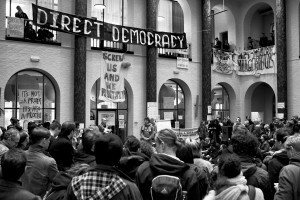 I’m not totally sure if this is mentioned in the articles, but the New University of Amsterdam managed to force the resignation of their university executive board, and have won a massive governance review which might result in their university becoming much more democratic, and might stop the cuts to jobs. We’ve got to wait and see how successful they are, however. Finally, if anyone wants to get involved in the organising of the soup seminars, including sorting out ingredients, cooking, designing leaflets, and publicity stuff – then just reply to this email and let me know!